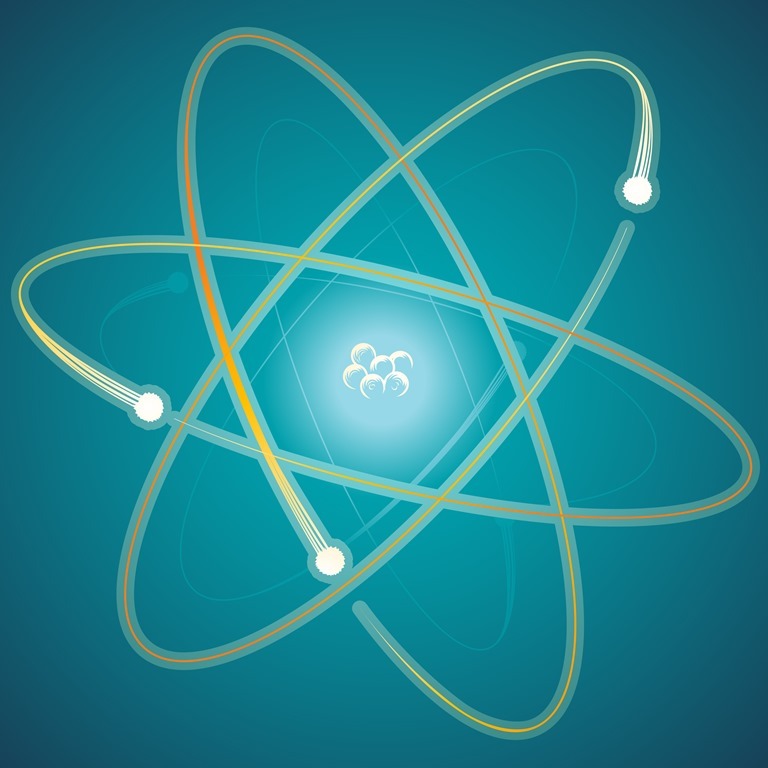 The U.S. Department of Energy (DOE) awarded two $6 million cost sharing grants as the first installments of what could be, over time, up to $80 million in funding for design work on advanced nuclear reactors. Two companies, and their partners, won the competitive awards. They are X-Energy and Southern Company. (See links to press releases below) DOE says that the cost sharing money will be used to “address key technical challenges” involving the design, construction, and operation of the next generation of reactors. Energy Secretary Ernest Moniz, just back from talking about small modular reactors (SMRs) at the December climate change (COP21) conference held in Paris, France, said, “public-private partnerships to develop advanced nuclear capabilities” are crucial to developing these technologies. DOE’s expectations is that these firms, with their multiple partners, will be ready to build prototypes by 2035 or earlier. The total value of cost-sharing funding is up to $40 million to each firm for a total of $80 million. X-energy – (press release) partnering with BWX Technology, Oregon State University, Teledyne-Brown Engineering, SGL Group, Idaho National Laboratory, and Oak Ridge National Laboratory to solve design and fuel development challenges of the Xe-100 Pebble Bed Advanced Reactor. This type of reactor has next generation design and the most advanced safety features and it is also smaller than traditional nuclear reactors. These factors would potentially enable such a reactor to serve a wider array of communities – particularly densely populated areas – while ensuring public safety. Southern Company Services – (press release) partnering with TerraPower, Electric Power Research Institute, Vanderbilt University, and Oak Ridge National Laboratory to perform integrated effects tests and materials suitability studies to support development of the Molten Chloride Fast Reactor. The MCFR is also a next generation design with the most advanced safety features that enable its potential use across the country. While these relatively small investments, basically seed funding, from the government, can help, the big problem both of these firms face, along with all other developers of advanced nuclear technologies, is that none of them will ever see the light of day as licensed designs unless there is a fundamental reform of the way the U.S. Nuclear Regulatory Commission operates its safety and licensing reviews. Fees – Change the way the safety design review and licensing process is paid for by applicants. If DOE wants to really promote these technologies, it will work with the NRC and Congress to develop cost sharing of the safety design review and license application costs. This way investors in the companies bringing these technologies forward won’t go broke teaching the NRC about their designs. Smarts – Invest in a foresight office at the NRC which will facilitate early learning about advanced reactor designs. The role of the office is to get smart at government expense, and not on the applicant’s dime, about these technologies. The objective is to be able to develop regulatory and technical frameworks for the major types of advanced reactors. This way the agency will know up front how to efficiently and cost effectively, conduct a safety review and assess a license application. Just about every government and think tank report on prospects for developing new designs of advanced reactors has focused on the need for test beds. DOE’s small investments in these two firms is a good start. What is needed are follow-on programs that provide for cost sharing programs to support building first-of-a-kind prototypes. No utility is going to pay for an unproven design. Proving the principle of each design requires technical support, facilities, and partnerships with DOE’s national labs. 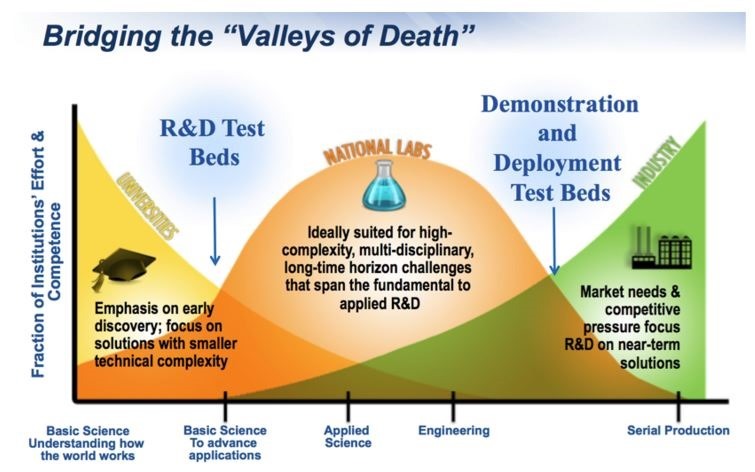 Todd Allen at the Idaho National Laboratory and Jessica Lovering at the Breakthrough Institute, have made the case for test beds in an article posted at the Energy Collective last August. See their graphic below. What about the future of light water reactors? MIT Professor Richard Lester’s roadmap for advanced reactors has attracted a lot of positive attention, which is well deserved. Lester’s roadmap appears to be intended to provide a broad brush effort to drive more focused or strategic thinking about nuclear for the long term. However, while Lester makes his a point to make about crafting a a multi-decade roadmap for advanced reactors, it leaves behind an important idea about light water reactors. Prof Lester’s work misses long-term opportunities for new technologies and advances in materials to enhance existing designs of full size LWRs. Lester seems to most of his eggs in the advanced reactor basket. We’re still going to need 1000 MW plants for baseload and improvements to conventional LWRs will make it possible for them to make significant contributions to decarbonize our electric grid. None of the renewable energy technologies touted by green groups are going to be successful without baseload plants keeping the grid moving along when the wind doesn’t blow or the sun doesn’t shine. If we are going to talk about nuclear energy innovation, we also need to think about design and safety issues for new LWRs that make it more technically feasible to take a new reactor to an 80 year service life. This kind of a time frame creates challenges and opportunities for suppliers of major components such as stream generators, turbines, generators, and so on as well as for major pumps and other cooling system components. Also, if the US were to establish commercial interim storage for spent fuel, such as envisioned by the proposals in Andrews, TX, and Hobbs, NM, it might yet come to grips with reprocessing and fabrication of MOX fuels for LWRs. High burn up fuels like MOX result in fewer outages which mean longer run times and more revenue for utilities. That’s another gain for full size LWRs and decarbonization. For instance, China is committed to building dozens Gen III reactors now that with an 80 year service life will not be ready for D&D before the end of this century. It would be interesting to learn what they think of these issues. The Obama administration has been lukewarm at best regarding nuclear energy and even at the recent climate change conference in Paris DOE Energy Secretary Ernest Moniz was cautious about his remarks although he did make some bullish statements about SMRs. It’s clear the next administration could benefit from talking to Lester. Taken together, Lester’s roadmap would be more interesting, and more plausible, if it took into account not only the dynamic nature of technology change, but also that existing technologies such as full size LWRs, still have a long shelf life. Dan, Here’s the argument for a test bed made on April 2 and 3 to NRC and DOE. We had the support of the State of Washington and the TriCities Chamber of Commerce in Richland. NW National Labs are right there. The response led us to Indonesia.